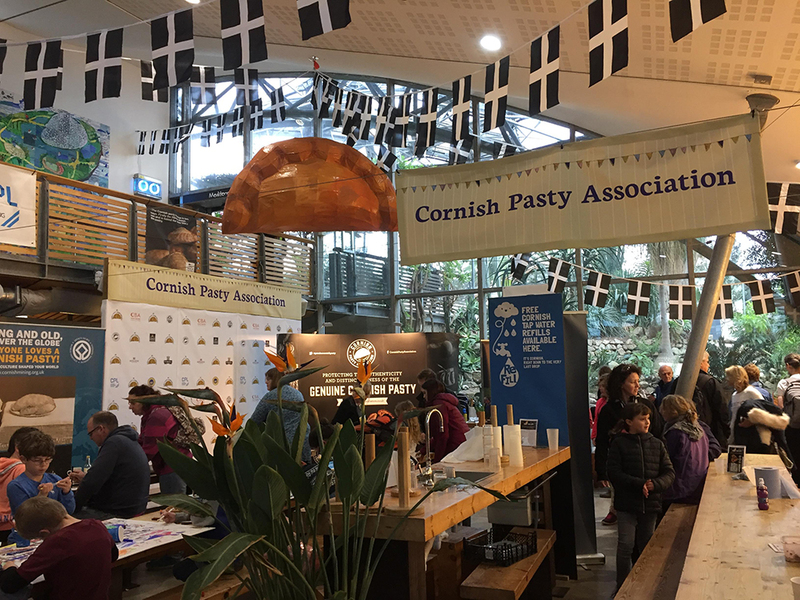 Families gather at the Cornish Pasty Association stand at the 8th World Pasty Championship to learn how the heritage and recipe of this baked-good. Historically, people over the breadth of Great Britain have shouted about what their patch is famous for. But nothing quite matches the love and pride the people of Cornwall share for the Cornish pasty. A baked-good steeped in a strongly patriotic heritage, serving as the original wholesome, fast-food that filled the bellies of miners and farmers after a day of exhaustive labour. Industries which for many years propped up this south-western county. Now firmly a staple in the culture of Cornwall, as a student from a small village across the border in Devon, I wanted to discover the magic of the Cornish pasty. So, I found myself stood next to a painstakingly-carved crust in tribute to Game of Thrones at a Pasty Pageant. Drawing flocks of tourist and enthusiasts from across the globe, I was at the 8th World Pasty Championships, at the enchanting Eden Project. 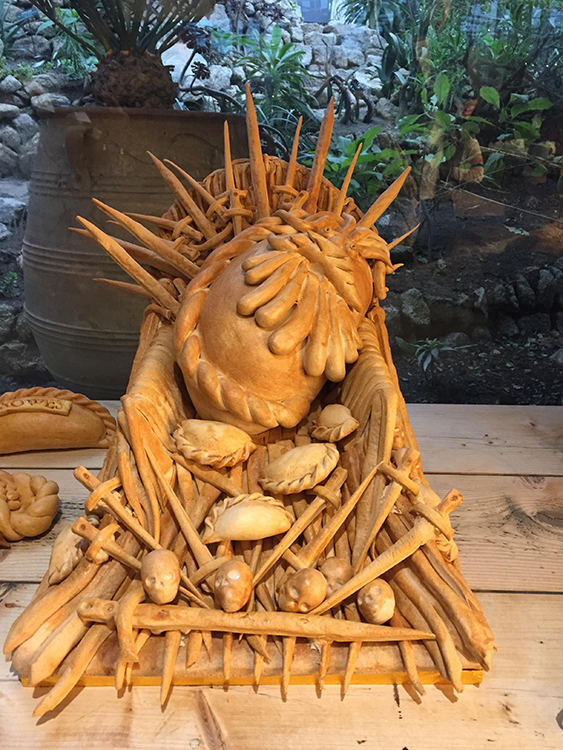 A Game of Thrones pasty tribute shown at the Pasty Pageant at the 8th World Pasty Championships. The world’s smallest pasty, entered by Matt Grant from the Great British Pasty and Pie Co, from Ottawa, Canada. The love of the pasty seems truly global, as I met with one of the most successful competitors in the competition’s history from the across the pond, Michael Burgess. 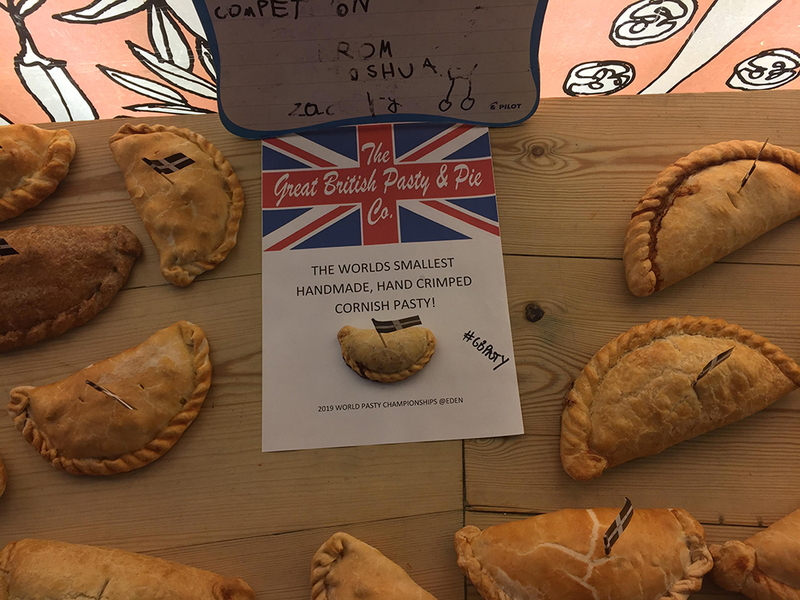 From Vienna in Virginia, his company Pure Pasty Co caused quite the stir last year, winning the Open Savoury Company award with a barbeque chicken pasty with only 6% pineapple in, dubbed by some as ‘pineapple gate’. His American-fusion twist within the evolution of the pasty was certainly appreciated by the panel of forty judges at this year’s competition too, with his company taking home the award again for a turkey and cranberry recipe which was a take on the traditional ‘thanksgiving’ dinner. 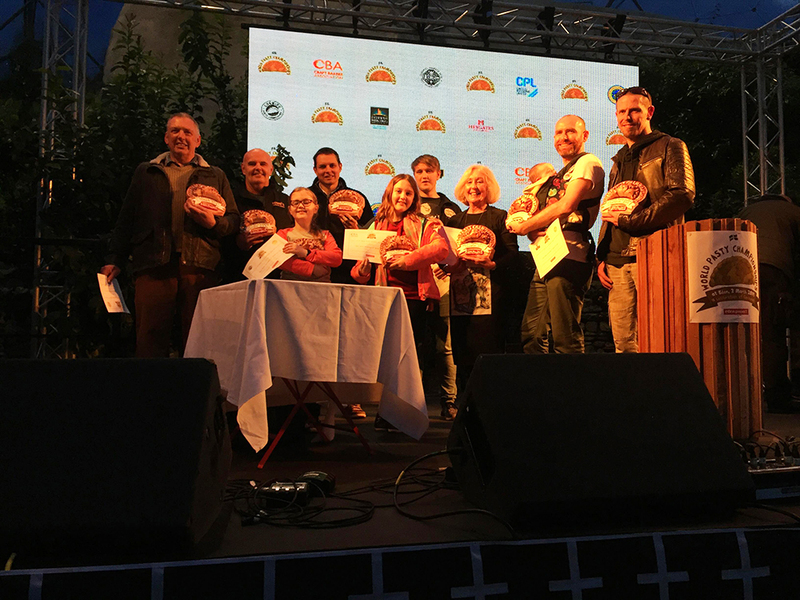 The winners from the 8th World Pasty Championships. With nearly 200 pasties entered, some by budding junior bakers too, he said the standard had been getting better each year, and that over the eight years the competition has grown, the innovation he has seen is very exciting for the industry. With nearly every food intolerance under the sun, I was still dubious at how far the pasty had really come and if it would ever be inclusive to my dietary requirements. Yet, between the biomes, people were happily sat eating traditional, gluten-free and even vegan pasties alike, side by side. I asked hospitality assistant, Paige, whether people were enthusiastic about these new options: “Yes, I am happy to see that people can actually enjoy a pasty even though it hasn’t got meat in!” She believed that it was important for the Eden Project, and that they hoped to further the choices on offer in the future. Despite an apparent pushing of boundaries, and some spectators saying their favourite recipes were everything from spicy chickpea and potato to lamb jalfrezi, the consensus was still nothing could beat a traditional Cornish pasty. 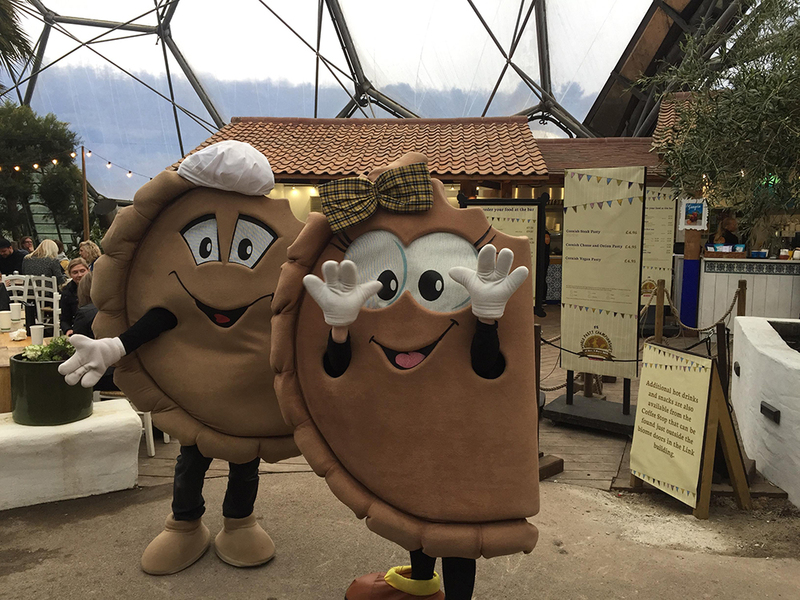 Mr and Mrs Pasty greeting the children in the Mediterranean biome at the Eden Project, at the 8th World Pasty Championships. Ruth Huxley, from the Cornish Pasty Association, explained the truth behind a perfect pasty was just the right amounts of local raw beef, onion, potato and swede, slowly baked at the correct temperature. An authentically modest but important recipe, to create a Cornish legacy. Encapsulating my experience of going behind the mystery of the Cornish pasty, was a conversation with enthusiasts Ashley and Tom, who said, “they’re all beautiful, all pasties, all shapes and sizes.” And simply, they are undoubtedly delicious.